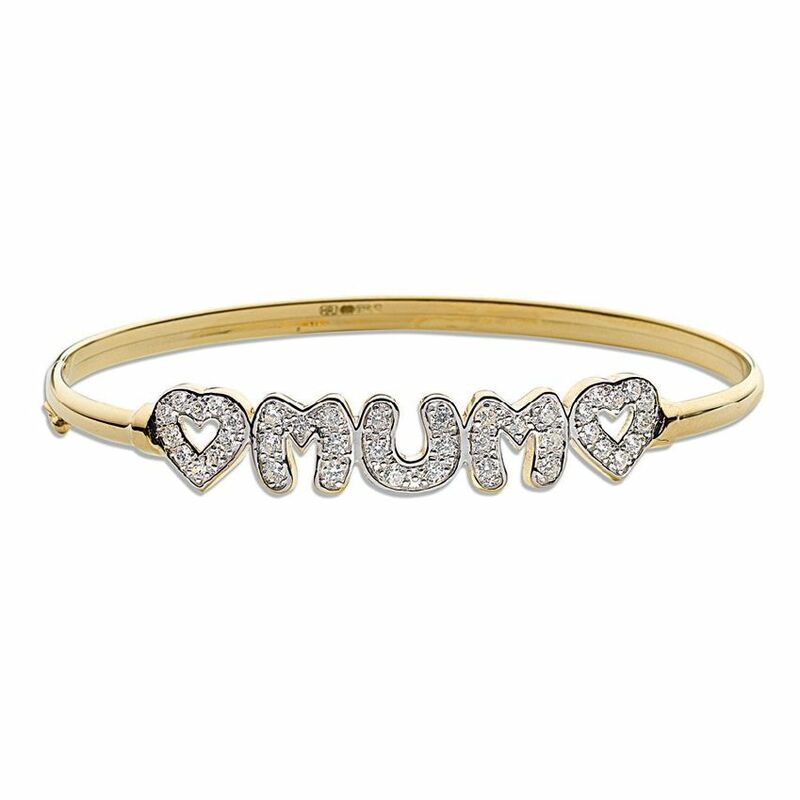 9ct yellow gold cz mum heart bangle. Average weight 6.0g. A perfect mothers day gift. Comes complete with presentation box. Please allow 3 working days for free UK delivery.